It’s that time of year again, and what better way to celebrate moving forwards than by looking back? It’s been five years since the launch of the first ever Irish Dentistry Awards in Dublin and we can still hear the applause from the night! Practices all over Ireland entered the 2012 Irish Dentistry Awards hoping that they would be crowned Best New Practice, Practice of the Year, Best Employer, and Best Referral Practice. It was the first time Irish dental teams and professionals could hold their head up high and revel in all their hard work, passion and care. Years of dedication, one night of triumph, and many more rewarding years to follow, with proud patients and professional satisfaction to boot. Since then, the awards have grown remarkably. In 2015, Irishtv joined guests at the ceremony in the Mansion House, televising wins and interviewing finalists. Dental professionals in Ireland hit primetime TV – and there was no better way to show the world what they could do. The Irish Dentistry Awards were created to celebrate the hard-working achievements of dental professionals across Ireland, highlighting the care they put in year-round to provide the best dentistry for their patients. Now, it’s finally time to reveal the categories for the 2017 Irish Dentistry Awards. All you need to do is choose the categories you’d like to enter from the 2017 categories box below, and then, start preparing your entry! Check out the new awards site to keep up to date with news and updates. Keep an eye out for Irish Dentistry‘s July issue, where we’ll reveal the guidelines in all their glory. There is free entry until 26 August, after which each category will cost €60 to enter. 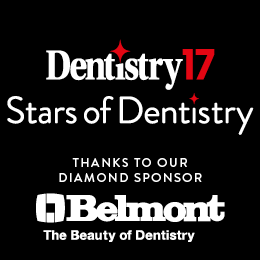 In the meantime, Irish Dentistry will be interviewing past winners in the run-up to the 2017 ceremony, so get ready to take notes! For each category, send up to 750 words explaining why your practice, or your team, is a contender, including the guidelines in each category. Including a range of supporting evidence will ensure your entry stands out from the rest. Alongside your supporting evidence, including photos, videos and anything else (such as patient or employee testimonials) that you think will will work in your favour. The judges look for – not only what you have to say – but what others have to say about you, especially your patients! Join us on Twitter and Facebook this year as we flash back to past winners, from 2012 all the way through to 2016. To reminisce, search for @IrishDentistry on Twitter and use the hashtag #awardsthrowback to join in the celebration and see how far practices have come. If you are a past winner and you want to share pictures from previous awards, don’t forget to add the year date to your tweet or post so that others can see how far you’ve come! 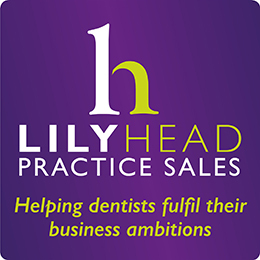 we are a general dental practice and are only established since 2015. Can we get details of how to apply for the awards night ? Of course! 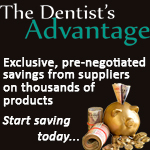 Visit http://www.irishdentistryawards.com to enter online or call the awards team on +44(0)1923 851779 to find out more. Details of what to include in your submission and the guidelines are available on that website or in Irish Dentistry magazine. Good luck!